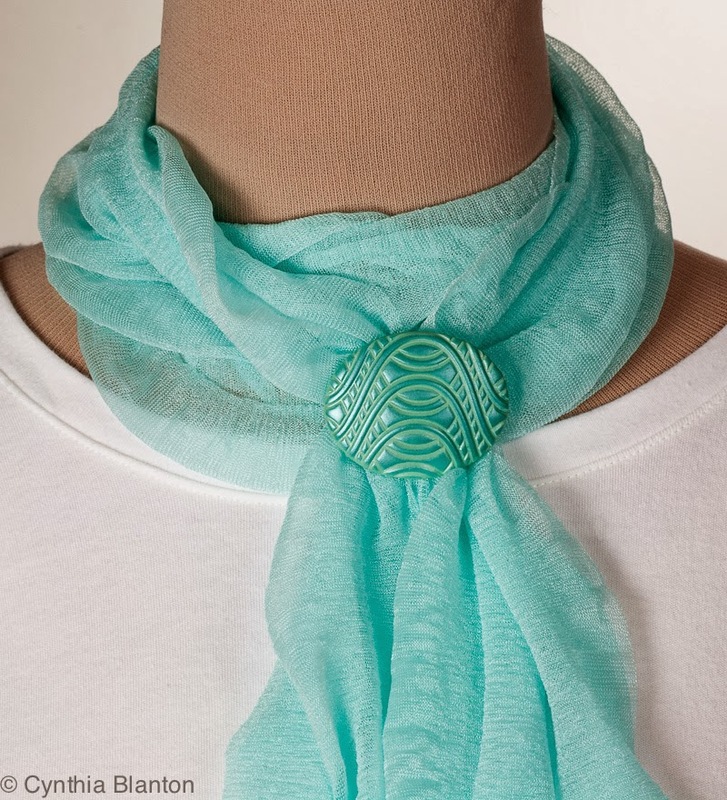 So excited to be teaching silk screening on polymer clay this summer at theTouchstone Center for Crafts July 27-Aug.2! If you are within driving distance of southern Pennsylvania, (or fly into Pittsburgh!) come join us! Learn to design screens, make them, and use them in so many ways, not just on polymer! Sign up by May 1 for a 25% earlybird discount! At long last I am back in the studio making inventory for my next show. I will be at the Toronto Knitter's Frolic on April 26, so I am busy making shawl pins and scarf clips. 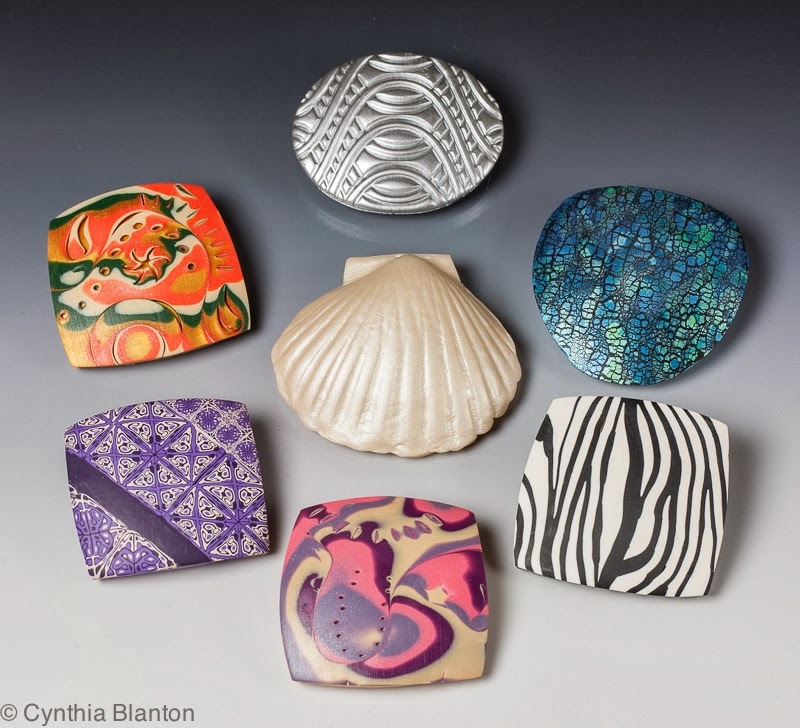 My latest designs are of scarf clips using a spring-type clip purchased from Shades of Clay. A big thank you to Carolyn Good of 2GoodClaymates for her free tutorial on how to attach the clips to polymer clay.